Are you looking to purchase a new family vehicle that won't cost you at the pump? 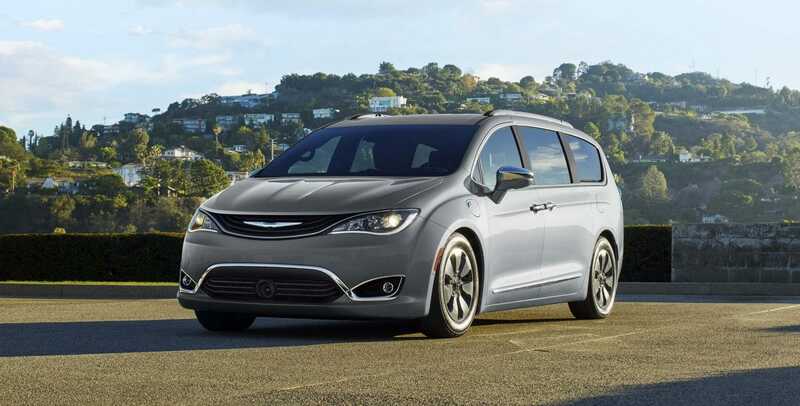 Check out the very first hybrid minivan: the 2018 Chrysler Pacifica Hybrid. 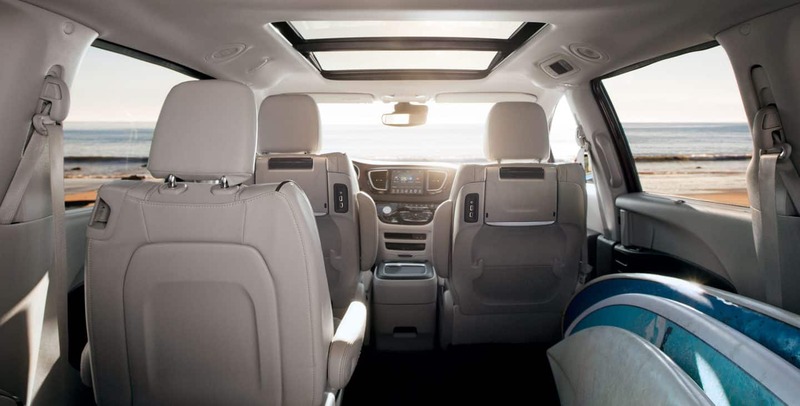 Inside the cabin, you'll find easily accessible third-row seating that SUVs just cannot compete with and a lengthy list of modern and advanced features. Don't think you'll be sacrificing power to save money at the pump because the Pacifica Hybrid offers immense power and strong energetic accelerations. 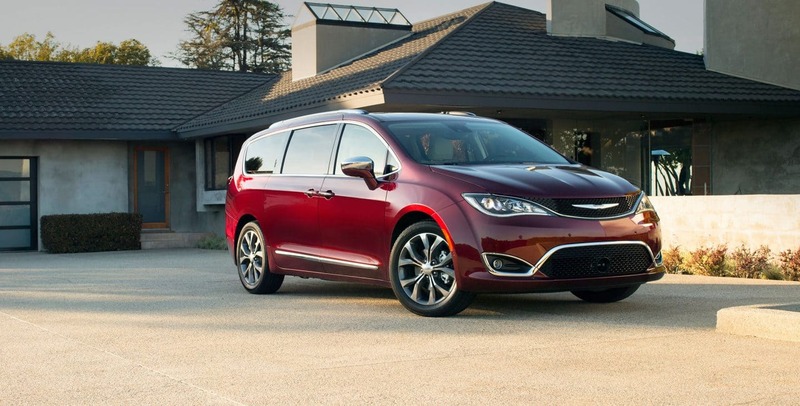 The Pacifica Hybrid is unlike any other minivan on the market today or years past. New Changes for the 2018 model year include the addition of the entry-level Touring Plus model. 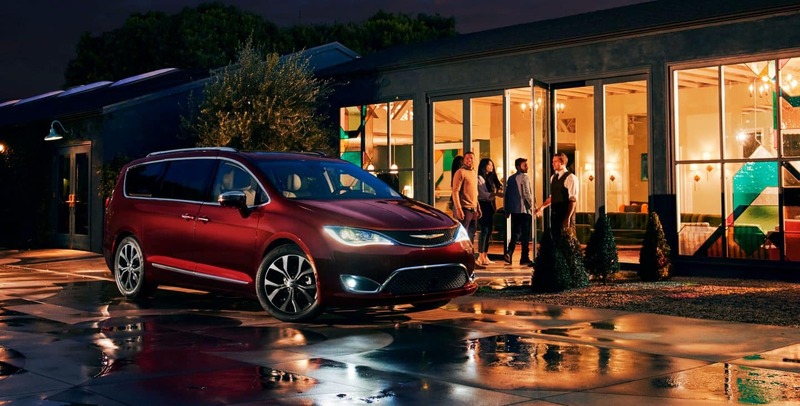 Want to learn more about the 2018 Chrysler Pacifica Hybrid? Check out the rest of our review. What kind of features will I find in the Pacifica Hybrid? 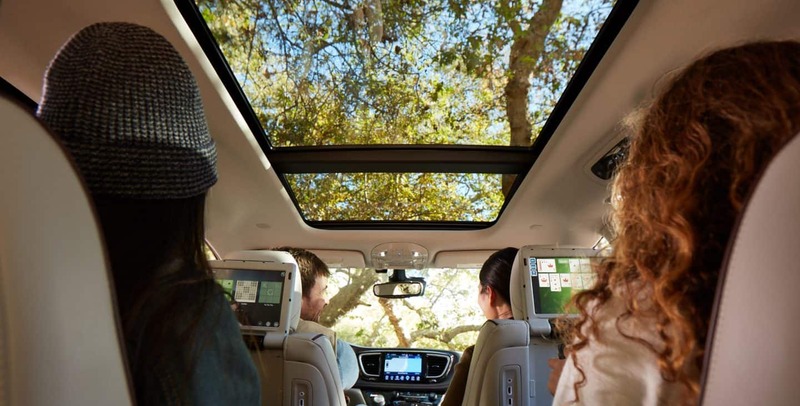 The Chrysler Pacifica Hybrid is offered in three trim levels: the entry-level Touring Plus, Touring L, and the top of the line Limited. All three of which offer a seating configuration for up to seven passengers. 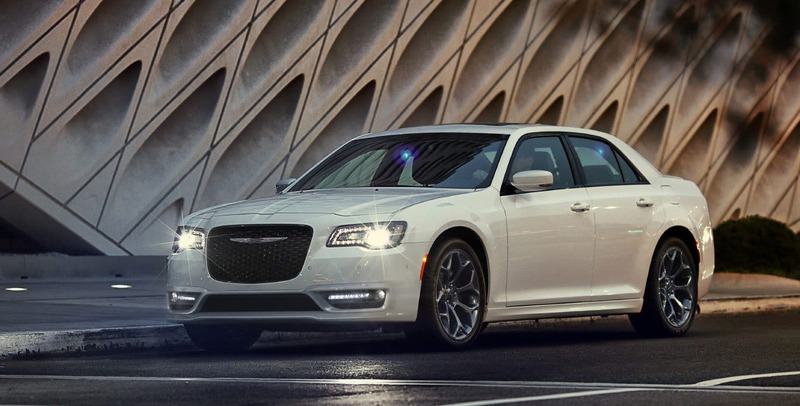 The all-new Touring Plus model is equipped with the best features from comfort and technology. Standard features include Bluetooth, keyless entry and ignition, a tilt/telescoping steering wheel, a power adjustable driver seat, 60/40 split folding third row, heated mirrors, and tri-zone climate control. Further standard features include a power adjustable driver seat, automatic headlights, fog lights, LED tail lights, power sliding doors with power windows, a driver information display, and heated mirrors. As well as USB and auxiliary audio inputs, satellite and HD radio, an 8.4-inch touchscreen, 17-inch wheels, a six-speed sound system, and a rearview camera. The top dog Limited model comes equipped with even more advanced features like a 20-speaker Harman Kardon sound system, additional USB ports for the second and third rows, a hands-free liftgate, ventilated front seats, Android device compatible wireless streaming, seatback video screens, a household-style outlet, a Blu-ray player and so much more! What kind of safety can the Hybrid model offer? Don't worry about safety and security lacking because this is a hybrid model. 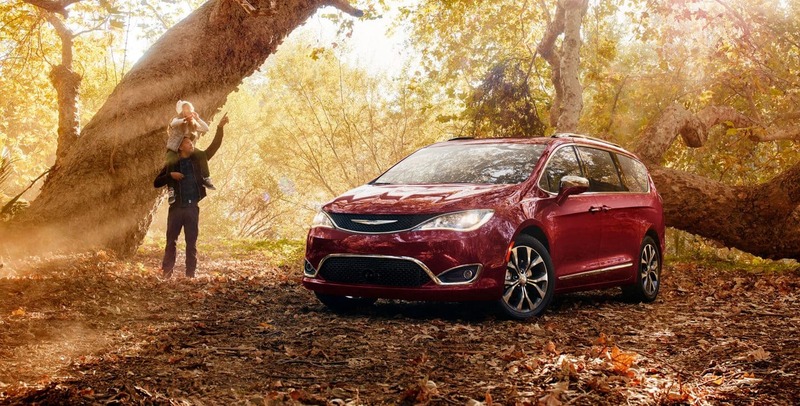 Each 2018 Pacifica Hybrid offers the same advanced safety and security equipment and features that the gasoline Pacifica does! 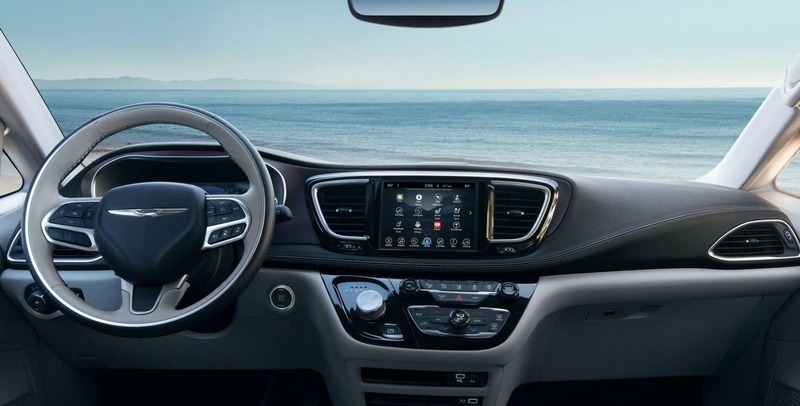 Standard features for all three models include a collection of sophisticated airbags, the ParkView rear backup camera, the LATCH system for child safety seats, and an occupant classification system. 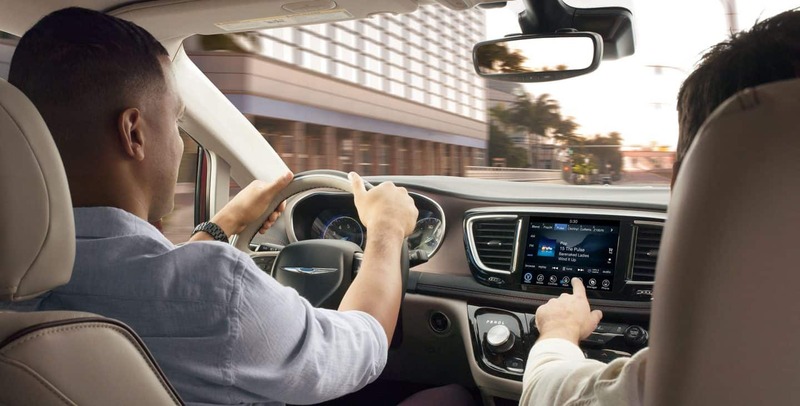 Further features include variable intermittent windshield wipers, a pedestrian warning speaker, sliding door alert warning, a security alarm, rear window defroster and wiper/washer, and a tire pressure monitoring sensor. What kind of powertrain does the Pacifica Hybrid use? 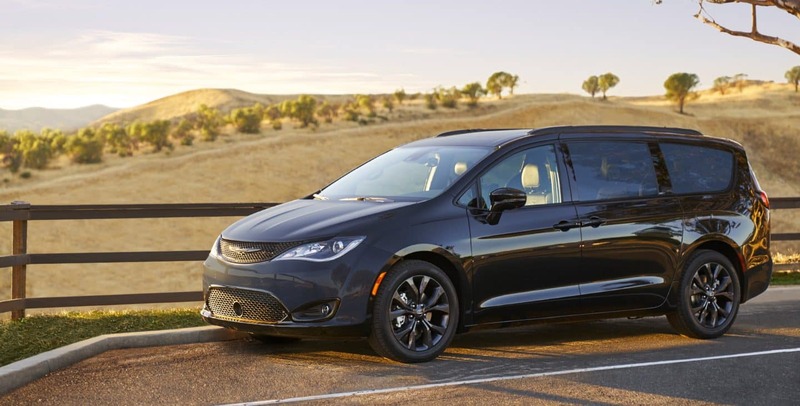 Chrysler powers each Pacifica Hybrid model with the same powertrain option. You'll find a 3.6-L V6 engine working in conjunction with a lithium-ion battery and dual electric motors underneath the hood of every model. This system's total output is an impressive 260 horsepower. This powertrain can achieve up to 84 MPGe when utilizing both gasoline and electric power. This means you can cut back those gas station pit stops multiple times a week! You will also save more when you do make the trip to the pump as the Pacifica Hybrid can drive up to 33 miles with a single charge. That's enough to run a few errands around town or get the kids to school or practice without tapping into the gas. This hybrid also offers a driving range of up to 566 miles so you'll never have to experience range anxiety. 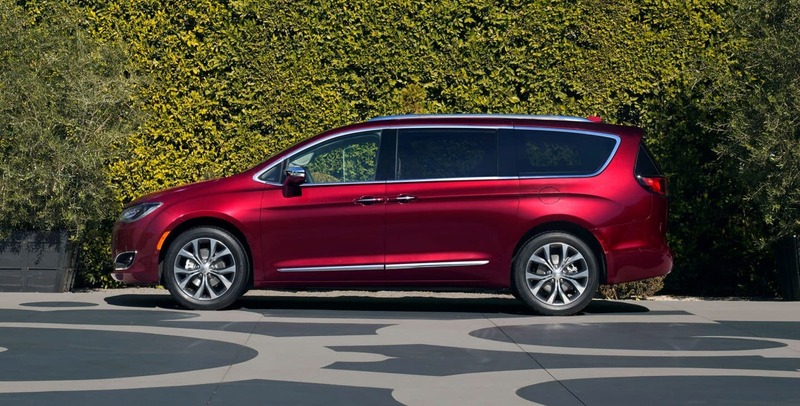 The 2018 Chrysler Pacifica Hybrid is the most advanced minivan on the market today. You get sophisticated safety and security equipment, modern amenities, advanced technology and incredible fuel economy all pulled together with a sleek and stylish exterior! Come visit the Lynch Chrysler Dodge Jeep Ram showroom today to check this minivan out in person and see first hand just how amazing it really is! You can learn even more by calling our sales team at (262) 422-6992!